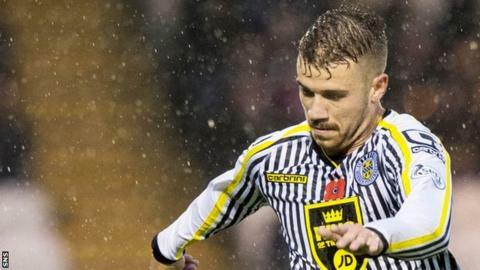 Gateshead manager Gary Mills is open to a Tynesiders return for James Marwood after the forward was released by Scottish Premier League side St Mirren. The 24-year-old left Gateshead last June after his 15 goals helped them to the Conference play-off final, where Cambridge ended their promotion hopes. But he failed to settle in Paisley, not scoring in 15 games for the Buddies. "If he's coming back for the right reason then it might happen," Mills told BBC Newcastle. "I have to sit back and say 'is it right for him to come back?'. It comes back to the old cliche, the grass isn't always greener. "If you're enjoying your football and I was good for him I felt, he could have kicked on even more again."